Graeme Souness thinks Tottenham are "standing still" in the Premier League while Jamie Redknapp said they looked "tired and sluggish" against Liverpool. Spurs suffered their second straight defeat on Saturday as they were beaten 2-1 at home by Liverpool. Spurs manager Mauricio Pochettino said afterwards that he is not worried and has "200 per cent" confidence in his team, but Souness saw it differently. "He's frustrated," the former Liverpool captain said on Sky Sports. "He would have wanted four or five players in the summer, but it was obvious he wasn't going to get them. "They have the excuse of the new stadium, but to his credit he has toed the party line and said we don't need players, we have a great squad. They do, but they are going to come up short again. They needed two or three quality players to come in and reinvigorate the squad. "When you are a player in a squad and a big player comes in you get excited because you think he will make you better. You find another yard in training and want to impress. That invigorates the squad, and Tottenham didn't have that this year. If you are not buying anyone you are standing still in football terms. "Everybody you are playing against will have gone out and spent. They have taken a chance to be better and you're not. That interview was borne out of frustration. He knows he is short and it's another 'Groundhog Day' season. "It will be like last season and the one before. They will play some really fabulous football, get beaten by the better teams when push comes to shove, and miss out again." Spurs were second best against Liverpool and only scored late in the game through Erik Lamela. The visitors should have been out of sight by then, and former Liverpool and Spurs midfielder Redknapp said: "Liverpool are running away from Tottenham at the moment. "Liverpool have bought in players, they look strong and fit. Tottenham look tired and sluggish, that's just a frame of mind because of the last two results. They have to snap out of it quickly. 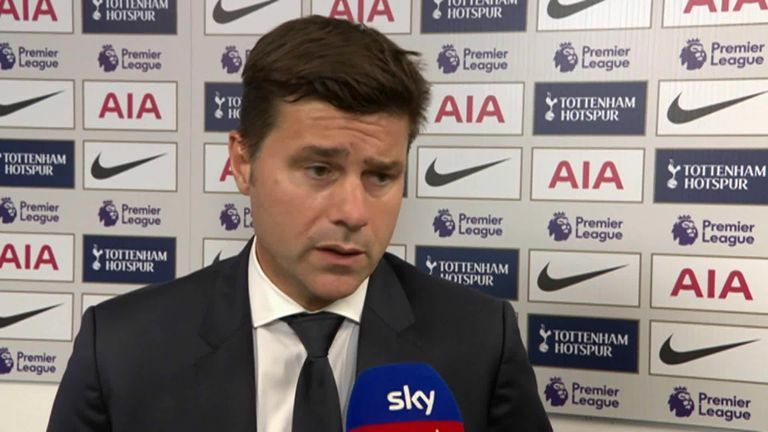 "They have the players but they have missed a trick and there is a bit of negativity around Tottenham which there shouldn't be. They should be competing to win the title. They had their big chances a few years ago and they don't want to let this slip."